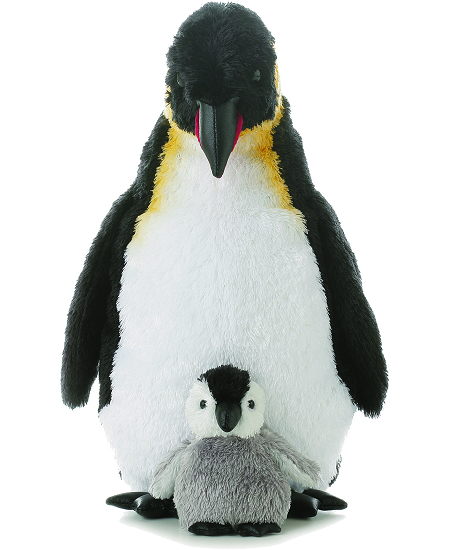 Encourage nurturing play with this stuffed penguin set of mama emperor penguin and her little baby penguin. Mama emperor penguin has a plush huggable body of soft white and black fur (complete with yellow accents) and baby emperor penguin has soft gray fur with white and black accents. Both have fun leather-like feet and beaks, and floppy wings. These stuffed penguins are out to inspire hours of imaginative fun.